In January 2015, Brazos Electric filed an application with the Public Utility Commission of Texas to obtain approval to construct a new a 138kV power line and substation in Northern Denton County/Collin County area. 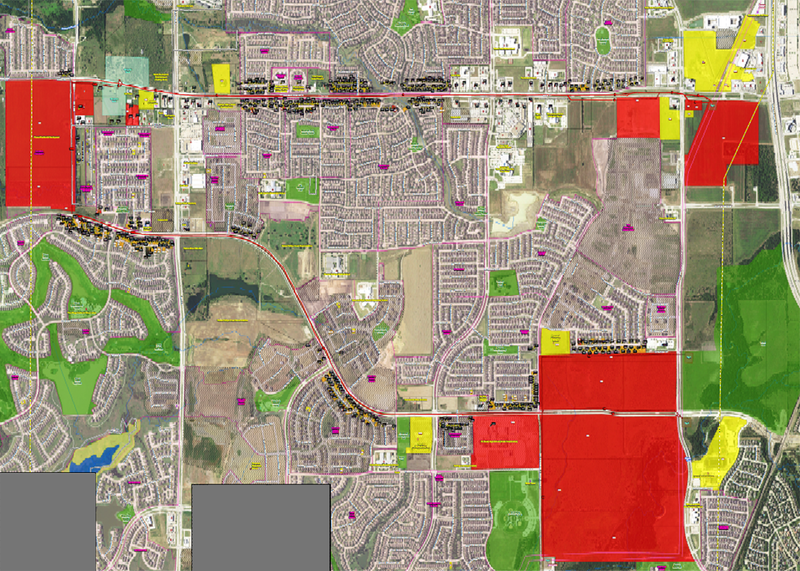 It is commonly referred to as the Stonebrook Transmission Line and Substation Project and is predominately located in the Town of Little Elm and the City of Frisco. The PUC is set to approve the project on February 11, 2016, at an open meeting in Austin, Texas. Brazos Electric is proposing to construct the power line on single pole structures with two circuits (6 wires total or 3 wires on both sides of the pole). The easements will vary in width from 40 feet to 70 feet depending on physical constraints along the route and other factors. The steel poles will vary in size from 80-120 feet high. Included in Brazos Electric’s application is a proposal to construct the power line underground and many citizens impacted by this project intervened to support an underground route. However, the cost estimates for an underground power line far exceed the cost of an overhead line; thus, Brazos Electric, the PUC staff and the Administrative Law Judges who presided over the route contest are all recommending and supporting overheard routes that run along FM 720/Main Street between FM 423 and Legacy Drive. The 3 commissioners serving on the Public Utility Commission are scheduled to hear public comments on the project at a meeting on February 11, 2016, then vote on the approved route at the open meeting or shortly thereafter. Brazos Electric is expected to utilize its power of eminent domain to acquire the easements for this power line project. Once the route is approved by the PUC, Brazos representatives and/or contract right of way consultants will be contacting the directly affected landowners to inform them that they own property on the route and that Brazos Electric needs permission so survey their property to determine the dimensions of the proposed easement. If you have questions about your rights when it comes to granting a condemning authority permission to survey, you may find the following article helpful: https://dentonattorney.com/survey-rights-upcoming-texas-high-speed-rail/ or you can call our office with any questions for free. In recent years, the Law Offices of Jones & Westrom has represented over 80 landowners involving over 13,500 acres of land impacted by power lines in 10 counties all across Texas. Our law firm’s primary area of practice is in the field of eminent domain and we are located locally in Denton County, Texas. We would welcome the opportunity to visit with you over the phone, in our office, or at your property regarding our experiences, our results, and the specifics of your situation. It is not too soon to start preparing, planning and strategizing if you own property impacted by this project.